This special concert set will feature 21 live recordings and will be available on Friday, November 22. It will be released as a Deluxe 2 CD/1 DVD pack, a double CD, a Blu-Ray and Standard DVD or via digital download. These will be the first new live Cold Chisel releases in over 10 years. The film and the audio capture the band in full flight as they launched their gold certified studio album, No Plans. "That handful of smaller gigs we did last year were really special. It'll be good to have one out there for everyone who wasn't able to get along to those shows", says Cold Chisel guitarist, Ian Moss. This particular show will be long remembered by those who endured the monsoonal thunderstorm which lit up the harbour city as the band electrified the Hordern Pavilion that night. The gig came just a few months after Cold Chisel had wrapped their unforgettable "Light The Nitro" tour. The 36 dates on that run set all sorts of sales records, drawing over 300,000 people across Australasia. "We were really road hardened by the time of that Hordern gig because we'd just finished that big tour a few months prior", reflects the band's frontman, Jimmy Barnes. "Adding a few new songs in the set for those launch gigs kept things fresh for us. Listening and watching it back, it's raw and primal, warts and all - like the best rock & roll should be." 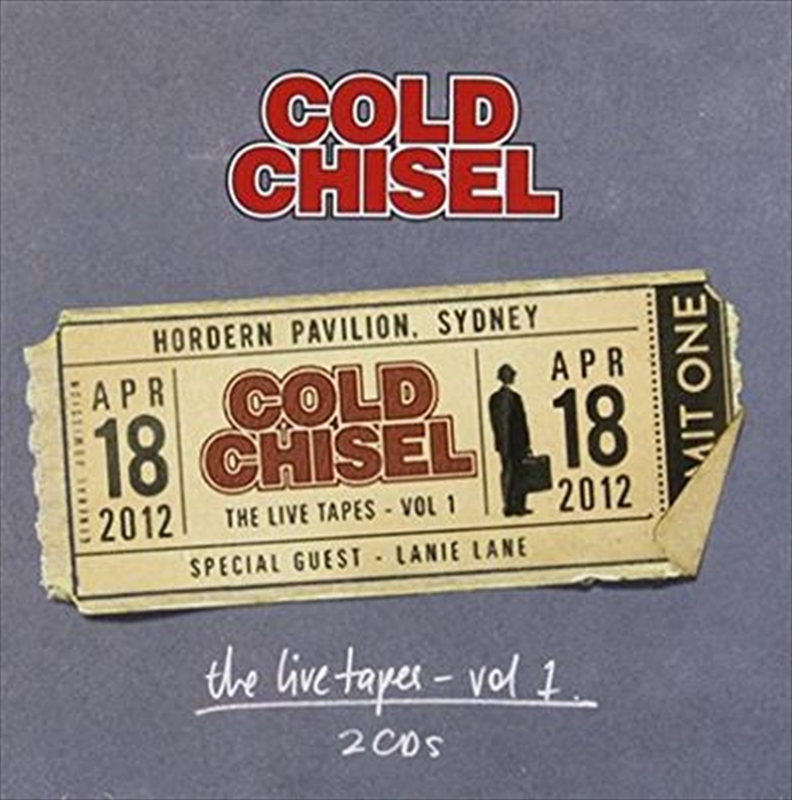 "The Live Tapes" will be an ongoing series for Cold Chisel over coming years. An exhaustive review of the band's archives prior to the digital release of their studio albums in 2011 revealed multi-track recordings of several legendary gigs from the late 1970's and early 1980's. Now that the band has its own label imprint, those masters will gradually be restored and mixed for release at irregular intervals. At this stage it's not certain how many volumes of "The Live Tapes" will be released but a spokesman for the band said that hopes were high for "at least five new live releases over the next five years". "It was important to the band that they kicked this series off with a show that really made a statement. That Hordern gig definitely fits that bill!"